Who doesn't want to enjoy a lifetime of excellent vision? 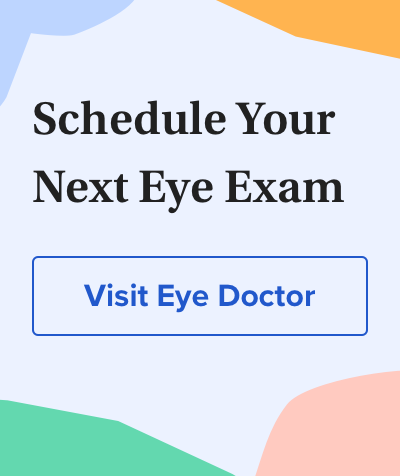 But besides having routine eye exams and having your eyeglasses prescription and contact lens prescription updated when changes occur, is there anything else you can do to keep your eyes healthy and maintain optimum vision? According to nutrition research, an important key to healthy eyes and good vision may be getting enough carotenoids in your diet. In particular, carotenoids may help protect your eyes from the damaging effects of blue light and reduce your risk of macular degeneration later in life. Carotenoids (kuh-RAH-teh-noids) are pigments that give fruits and vegetables their vibrant red, orange, yellow and green colors. They act as antioxidants and have significant cancer-fighting properties. How Do Carotenoids Work To Keep Eyes Healthy? in the retina and is the portion of the retina where our sharpest vision is produced. It also is responsible for our ability to perceive colors. Three dietary carotenoids — lutein, zeaxanthin and meso-zeaxanthin — form the pigment in the macula ("macular pigment") that protects the millions of photoreceptor cells located in this small region of the central retina. In particular, the antioxidant and anti-inflammatory properties of the macular pigment reduce oxidative stress on the retina caused by high-energy blue light, which is believed to contribute to the development of macular degeneration. Also, blue light has shorter wavelengths than other visible light, which scatter more easily in the eye, causing glare and reducing contrast sensitivity and visual acuity. The macular pigment selectively filters out image-degrading visible blue light for sharper vision. MacuHealth with LMZ3. MacuHealth with LMZ3 is the only dietary supplement that contains all three critical carotenoids — lutein, zeaxanthin and meso-zeaxanthin — in the same 10:10:2 ratio found in the macular pigment of the eye, according to the company. Each gelatin capsule contains 10 mg lutein, 10 mg meso-zeaxanthin and 2 mg zeaxanthin. EyePromise Zeaxanthin + Lutein. EyePromise Zeaxanthin + Lutein is designed to increase macular pigment optical density and protect macular photoreceptors with the highest available level of dietary zeaxanthin, according to the company. Each softgel capsule contains 10 mg lutein and 10 mg zeaxanthin. Ask your eye doctor which carotenoid supplement is best for you. How Do I Know If I Need A Carotenoid Supplement? Your eye doctor can evaluate the amount of macular pigment in your eyes by performing a simple in-office evaluation called the macular pigment optical density (MPOD) test. One instrument used to evaluate MPOD is the QuantifEye MPS II device, which is marketed by EyePromise. Although the thickness (optical density) of macular pigment varies from person to person and can be affected by factors such as aging, lifestyle and dietary choices, MPOD testing has been shown to be accurate and repeatable, and norms have been established. Having your macular pigment optical density tested can alert your eye doctor if your MPOD score is below normal, which could put you at greater risk of vision problems and macular degeneration. Your MPOD can be retested after dietary changes and/or use of carotenoid nutritional supplementation to improve the thickness of your protective macular pigment. If your eye doctor does not perform MPOD testing, he or she will likely be able to refer you to an eye care professional who does. Quantification of zeaxanthin stereoisomers and lutein in trout flesh using chiral high-performance liquid chromatography-diode array detection. Journal of Food Composition and Analysis. July 2016. Sustained supplementation and monitored response with differing carotenoid formulations in early age-related macular degeneration. Eye. July 2015. Lutein, zeaxanthin, meso-zeaxanthin content in egg yolk and their absence in fish and seafood. Journal of Food Composition and Analysis. September 2012.